Generating leads, both high in quantity and quality, is a marketers most important objective. A successful lead generation engine is what keeps your funnel full of sales prospects. 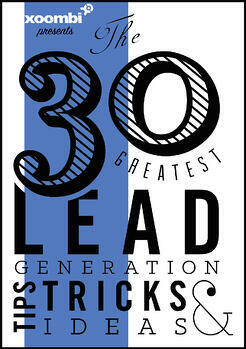 "The 30 Greatest Lead Generation Tips Tricks & Ideas" will show you how to use the following assets to generate high quality prospects. Submit the form to Download your FREE eBook!